"I miss our phone conversations so much, Uncle Bobby. I love..."
"I am praying for you and your family as you go through this..."
"I love you grandpa. My favorite resident." "Gerrylene and children. So saddened on the loss of your..."
Bobby Joe Williamson, 81, was born in Oak Park, Georgia and raised his family in Baker, Louisiana. He became a resident of Denham Springs, La. about 10 years ago. 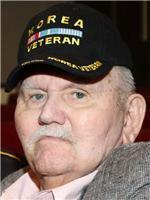 He passed away around 2:00am on Tuesday, February 18, 2014 at Harvest Manor Nursing Home. He was a teamster of Local #5 out of Baton Rouge. He proudly served our country in the United States Army during the Korean War. He was also a 32nd Degree Mason of Baker Lodge #441 and Order of Eastern Star #14 of Zachary. He was a member of the former Bethesda Northside Baptist Church in Baker, Louisiana. Visitation will be from 6:00p to 8:30pm at Seale Funeral Home on Wednesday, Feb. 19th. There will be visitation again on Thursday, Feb. 20th from 12noon to 1:00pm before the funeral services at 1:00pm, also at Seale Funeral Home, 1720 S. Range Ave., Denham Springs, Louisiana 70726. Bobby is survived by his "queen" of 61 years, Gerrylene "Gerry" Riles Williamson. He is also survived by his children, June Williamson Mouton and her husband, Polo Mouton Sr., Cheryl Dale Williamson Ratcliff and her husband David Ratcliff III, and Monica Williamson Fuller and her husband George Fuller. He also leaves behind his 6 precious grandchildren, David "Deke" Ratcliff IV, Mindy Mouton O'Neil & her husband Adam O'Neil, Brandon Garett Ratcliff & his fiancé Chantell Schmidt, Polo Mouton, Jr., Marlee Mouton Signorino & her husband Michael Signorino & Holly Mouton & her fiancé Josh Cantu. He is also survived by 6 beautiful great grandchildren, Abby Ratcliff, Trase Mouton, Makenzie O'Neil, Isabella Gilbert, Addison O'Neil and Mason O'Neil. He is also survived by numerous nieces & nephews that he loved dearly. He was preceeded in death by his parents, Onie Calhoun Williamson and Gaston Beauregard Williamson, his brothers, Harold Williamson, G.B. Williamson, Aubrey Williamson, Edward Williamson, Bennie Williamson and his sisters, Elenor Williamson Phillips, Carolyn Williamson and Patsy Williamson. The pall bearers will be David Ratcliff III, Polo Mouton Sr., George Fuller, David "Deke" Ratcliff IV, Brandon Garett Ratcliff, Polo Mouton Jr., Adam O'Neil, Michael Signorino, Josh Cantu, and honorary pall bearers Jerry Riles, Joel Moak & John Moak, Bo Simpson and Sonny Yarbrough.